In e71, General, New Toys! 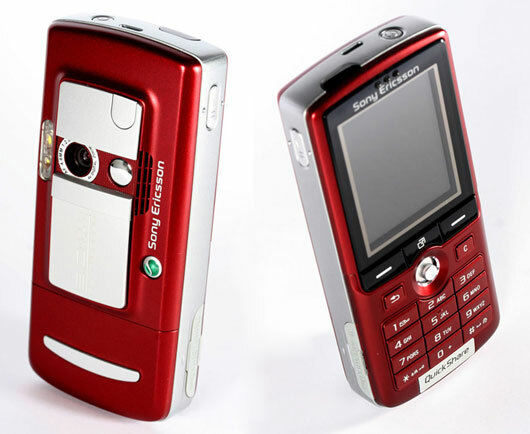 At the moment, I use a Sony Ericcson k750i as my phone. It’s solid, has good reception and audio and battery life. It has an easy-to-use camera with a flash which is important for me because that’s how I record and store whiteboard sessions. It has bluetooth for file transfer (of the whiteboard photos) and hands-free headsets (it’s illegal in Ireland to drive while using a mobile phone, so the headset – and the voice recognition dialing – are quite useful). It has an FM radio and an MP3 player for when I’m on the train. I’ve got Opera Mini installed on it so I can even check my email and websites, though writing anything with T9 is something a sane person only takes on in extremis. It’s even red 😀 It’s been a very good phone for me and I have almost no complaints about it. Why? Well, the most cosmetic thing is that it’s not exactly shiny anymore. I’ve had it for two years now, and two years living in my pocket next to keys, tools, pens and general lint has taken its toll. The lens is still fine, the sliding cover was a good design idea and more phones should use one, but the facia around the keypad is almost paint-free and is coming loose and while the joystick is still functioning, it is starting to finally show glitches. A friend who had the k750i before me had the same problem – and it very quickly stopped working alltogether. There’s also the issue of SMS messages. For those not in Ireland, you have to understand that SMS messaging in Ireland is enormous, it’s almost as big as email and in large swathes of the market it’s bigger than voice. So when this phone, with 2Gb of storage, tells me it can’t store more than a hundred or so 140-character messages, I get irked. I don’t need them stored on the SIM card, I just need them stored. Stick them on the memory card, I don’t mind! But there’s no option to do that. There’s also no searching, no threading, etc, etc. And there’s the whole mobile broadband aspect as well. After a year in dotMobi, it’s plainly obvious that mobile broadband is inevitable, though the final devices probably won’t look like anything we have now. Between convergence and new interface technologies and materials, not to mention changing fashions, what we have by the time that we get widespread mobile broadband won’t look like anything we have now, or are predicting now. But until then, it’d be nice to have access to what is there and that means a larger screen and a 3G phone. I did have a 3G phone before the k750i, a Nokia 6680, and I was quite happy with that as well. Unfortunately, so was the git who smashed my car window and cycled off with it. So what phone? 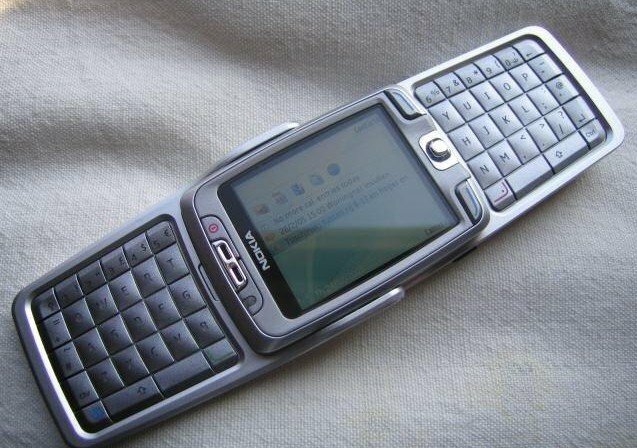 Well, my inital thought was the E70 because it was the same kind of form factor and I liked the fold-out keyboard which gave you both a numeric and a qwerty keyboard (big hands are a major disadvantage with modern smartphones, and the e70’s keys looked nice and large). But Meteor don’t stock them and the off-the-shelf unsubsidised price is nearly €500 on eBay. Too rich for my blood. Why not the iPhone? Because it’s a lousy phone. I’ve used the iPod Touch with Fring and a microphone for VOIP phone use, and I just can’t get used to the lack of a keypad, nor can I stand the – not to put too fine a point on it – oily gunky residue that builds up on the device when held in contact with your face during a phone call. You’re constantly having to buff the thing up when you use it, and I don’t tend to be overly gentle with phones – a scratch on a normal phone is okay, a scratch on an iPhone is like a dent in a Ferrari. Besides. Seriously. No cut and paste? I want to trade up, not sideways. Android… look, Google’s certainly big in internet land, but they’re not even a blip in telephony. Seriously. Nokia aren’t the 900 pound gorilla in the room, they’re the planet the gorilla evolved on. If Nokia has a bad day, the Finnish GDP has a bad day. Android’s nice PR. It has one phone so far and the second to the market just pulled out. If Android was a technological marvel, that’d be one thing, but it’s just another iPhone/PalmPre/WinCE smartphone. So stuff it. The larger the userbase, the better the user experience, in general. Blackberry? Well, the curve looks nice, and those who use it are great fans, but (a) all my email is done through IMAP and I mostly use the standard gmail interface anyway; and (b) Meteor don’t support it, you have to go to O2 to get one in Ireland. Too much hassle. So I’m thinking N95 or E71. 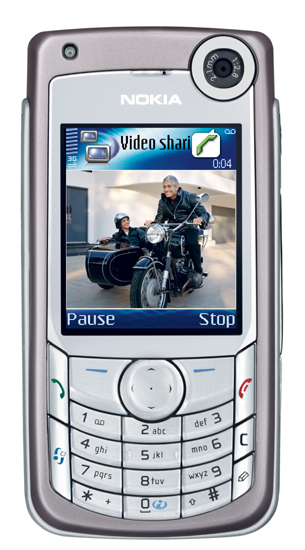 The N95 is nice, but, well, somewhat brick-shaped. A small, stunted brick, yes, but nonetheless, mortar enough together and you’d have… well, a very expensive and not very sturdy wall. But you know what I mean. Still though, the GPS is nifty. How long can it take before we have geographical alarms as well as temporal ones? Seriously, have your phone go off when you walk past the bike shop to remind you to buy a new rear light, or have it go off when you’re within a few miles of a friend you’ve not seen in a while to remind you to drop by. That sort of thing would be handy. On top of which, handheld GPS in a country where folk tend to think hillwalking is harmless (and also tend to die of exposure or have to call out mountain rescue rather a lot) is a good thing. But at €180 even when subsidised, I wouldn’t mind trying before buying… and it turns out, I can 😀 We’re doing some development on the S60 platform at the moment and we have two e71s for testing, and only one in use. So for the last few days I’ve been trying it out. Now, I haven’t spent much setup time here. No nice themes, no fancy voice recognition, etc, etc. And frankly, its integration with Linux is appallingly bad. But it does have a lot of promise. And I’ve actually been able to compose a few short emails and posts on boards.ie using it without having to break my fingers in fustration. I’m going to keep on using it for a few more days, but I’m about 70% sold on buying one at the moment, and that figure keeps rising. It’s solid. Metal construction, but it’s also light. To be honest, I prefer a bit more heft in my hand, but it’s nice that it won’t tear off your shirt pocket I suppose 😀 It does have a habit of turning in your trouser pocket and poking you in an awkward spot when you sit into the car, but then, it shouldn’t be in my pocket when I sit into the car, it should be sitting somewhere on the dash! Its reception is at least as good as the k750i’s was, though it sadly isn’t any better. Audio is a little worse, I have to admit, but it’s exactly the same when you use a headset, and anytime I’m in a noisy area, I’m using a headset anyway. It has a lot of storage (up to 8Gb) which is often more useful than you’d think (storing files when you forget your USB key for example). It’s a damn pity they didn’t use the standard mini-USB connector, but I can live with that (and the micro-USB may well catch on soon enough anyway). The bluetooth works, the camera works (though I miss the sliding protective cover, and as camera’s go, it’s a pretty good phone – but look, it only has to record whiteboards for me to be happy). The keyboard is excellent (it does take a bit of getting used to after a standard phone keyboard, but not too much), the threaded SMS (through the Conversation App) is neat, I must never let the “read SMS messages out loud” option on at any time :D, the way it says a contact’s name when they call is darn nifty and useful (far more so than custom ringtones, which are fun but a lot more work to set up). The GPS is excellent, the wifi is darn useful at home, I love that it has a HSDPA modem you can use for the laptop (although I already have a contract with 3 for that), and it even has IRDA as a fallback. The standard web browser is fine, which is good because I’ve not managed to successfully install Opera Mini yet. Nor Facebook Mobile nor Twitter, but then I was just curious with those, I don’t microblog. And it has chess, so that’s good too. The menus are a bit unfamiliar (not that Sony’s were any better), and I’ve not yet got all the shortcuts memorised yet, but what I’ve seen so far is downright pleasant. The battery is apparently some form of radionucleotide-based system. It took five days of hard use to shut the phone down, using wifi and voice and data. That’s a lot more than the k750i, and that’s a pleasant change – I’m used to upgrades meaning less battery life. The speaker (I find it easier to listen to voice messages on speaker, at least when I’m on my own) is wonderfully loud and clear enough for me. And apparently a lot of people like the phone too. Another few days without bad surprises and I’m going to wander up to Meteor during lunch and buy one. It’s a much better phone than the N95, the quicker UI is worth it alone. 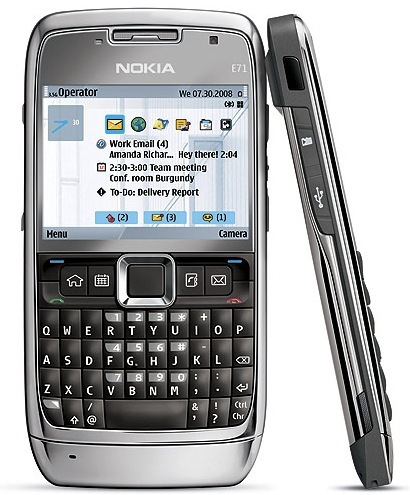 Try Nokia E-mail (or Messenger now) for push e-mail, works well with IMAP accounts & Gmail. My Nokia e70 was damage where can i bring this to fix do you have a repair man also? What’s the feature this mobile? this is possible to deliverd on emi…. How Much does it coast in LL?